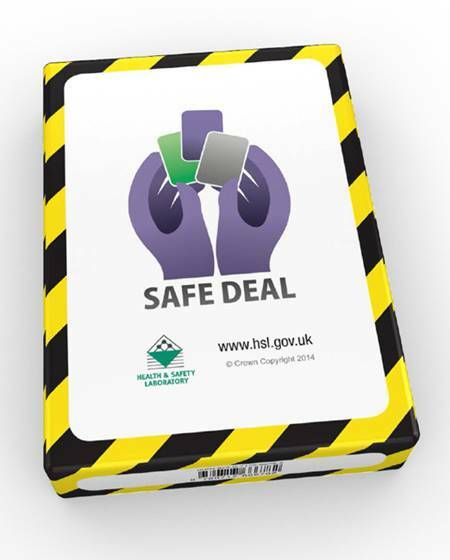 These newly developed playing cards help you increase the opportunities to talk both formally and informally about the human factors that affect your organisation. The cards can make it much easier to break the ice, broach big subjects and start meaningful discussions. They can be used by anyone - health and safety professionals, managers, supervisors and safety reps - to begin talking about safety. The more you talk about safety, making it an on-going open dialogue, the more likely it is you will engage your workforce in safety becoming 'part of the job'. There is no fixed way to use the cards. You can ask the question first to start a conversation, then use the information provided to add context to the discussion. Or you can use the information on the card to introduce the subject, then ask the related question to begin a discussion. Either way, Safe Deal will generate interesting dialogue.